Easy oven baked baby back ribs cooked low and slow on a bed of onions that are so tender the meat falls off the bone. When I say these ribs are “fall off the bone” good, I mean it. My kitchen looked like a voodoo den today. There were bones everywhere. Without a scrap of meat on them. It looked like some phantom from Scooby Doo had been through and left nothing in its wake but bones. These ribs cook low and slow in the oven on a bed of on thick onion slices to keep them out of the pan juices (so they roast instead of boil). Then you finish them off with barbeque sauce and you’re ready to chow down. A friend of mine popped over when I was making these one day and I was somewhat apologetic about cooking them in the oven instead of on the grill. Because, I mean, we’re in the South so we’re all supposed to be grill masters, right? He surprised me by saying he used to work at one of the big rib restaurants in town and the way I was cooking them was almost exactly the way they cooked them at the restaurant. They cooked them low and slow in the oven and only popped them on the grill when it was time to sauce them. I love it when I figure this stuff out on my own. And it sure beats standing out in the heat, sweating my gonads off, swatting mosquitoes for hours. Pour just enough beer into the pan to cover the bottom. I used a hard apple cider – use whatever you have, the beer just brings an aromatic element to the recipe. Add liquid smoke to the beer. Arrange rib racks in a single layer on top of onion slices. Cover pan tightly with two layers of aluminum foil (if your pan has a lid, cover with a layer of aluminum foil and the lid). Bake at 300 degrees for 4 hours. Remove ribs from oven and uncover. Drain pan juices from pan (either with a turkey baster or by carefully tipping the pan). 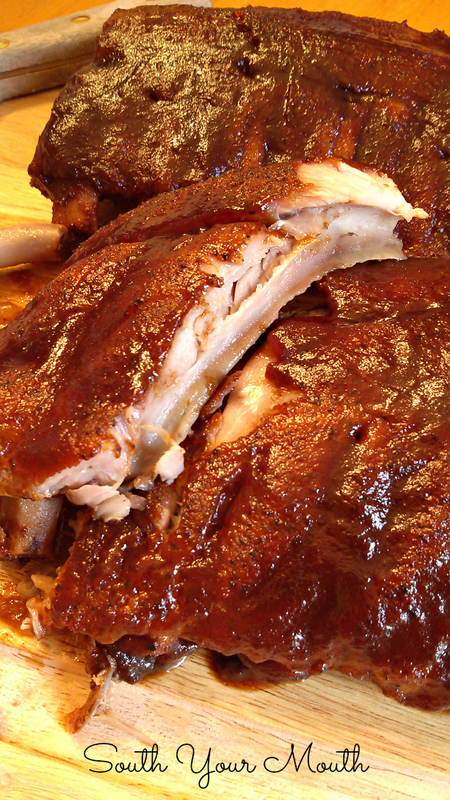 Baste ribs with barbeque sauce and return to oven. Continue baking ribs, uncovered, for 15 minutes. Remove ribs from oven, tent with foil and rest for 15 minutes before serving. You are too pretty to have gonads. Just made these and they are fantastic!!! Falling off the bone, tasty and so easy to prepare! I would use a sweet onion like Vidalia and then eat them as a side with mushrooms sauteed in butter added to them. Never throw out a perfectly good onion! You can certainly eat them if you like but I just throw mine out. Though I do follow the same recipe when cooking ribs there is one thing that you did not mention that I do... I remove the membrane from the back of the ribs. It is quite easy...just pull up starting at the corner and pull and the rest of the membrane will come off. This only adds to the tenderness of the completed ribs! That is exactly what I was thinking about. Thank you for that comment. ���� me too! Ribs have been my nemesis for years until this recipe combined with taking off that membrane. Now ribs are one of my specialties! Fabulous Mandy!! What can I use instead of onions? I like to use green pepper rings (sometimes red, yellow or orange as well depending what is on sale/in season) so if you do not like onion, but do like peppers you could try that. I've tried sliced apple rounds and also 1 inch sliced sweet potatoes...family liked them both as long as I kept the original fall off the bone rib recipe! If you don't want the flavor of onions, you could put a rack in the pan and if you don't have a rack you could use metal cookie cutters to sit them on or form a stand out of aluminum foil. Sounds delicious! 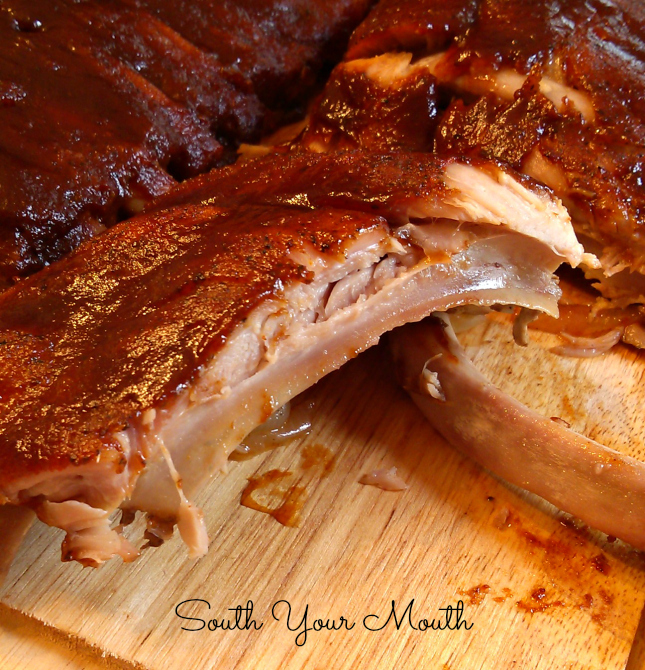 I am going to try this recipe this weekend as I have several racks of baby back ribs in the freezer!!! Thanks for sharing! I use potatoes instead of onions - they are delish! do you boil ribs first? then pop in oven? NEVER! Slow and low in an oven only!!! You DO NOT want to boil out flavor…that is the point of doing them in the oven. I just made this using some leftover celery stalks instead of onions, worked great! The idea is to just have something to keep the ribs from touching the pan, plus adding some aromatics, too. Just made these tonight, they are as awesome as they look! Could use any rub that you like. Put plenty of BBQ sauce as it soaks in. I was skeptical about oven-baked ribs, worried the meat would be dry and tough. WOW! This recipe was a pleasant surprise! I never write reviews, but I had to give this a shout out! The meat fell off of the bone and the flavor was amazing! Great recipe!! We just made these AGAIN and they were amazing! The meat just melts in your mouth and literally falls off the bones. I LOVE LOVE LOVE all your recipes but I think this one is my favorite! Do you still cook for 4 hours if using a convection oven? 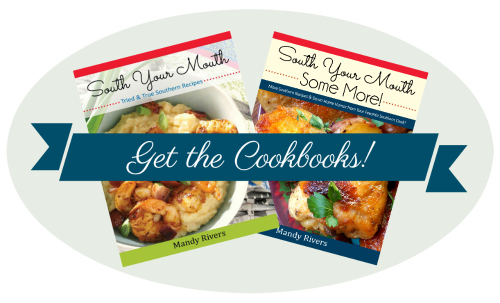 What about a slow cooker conversion? Should I remove the rack from the roasting pan? we can use water in place of the beer right? Making this as I comment...Pairing with your Flat Broke and Busted Potatoes! Can't wait to eat! WOW! Thank you so much for taking the time to comment! You just totally made my day! These ribs came out perfectly. Thank you so much. I found your recipe on pinterest a couple years back and this is the only way I'll make them now! A couple variations though: I also remove the membrane prior to cooking. My fave liquid is hard cider, but Apple juice is good, too. And when I baste with bbq sauce, I also mix in some of the pan drippings with the sauce. Game changer! This recipe is AMAZING, thank you! I've made it once with and once without the liquid smoke and both times the flavor was delicious. Meat falls right off the bone and I'm in love with the recipe!